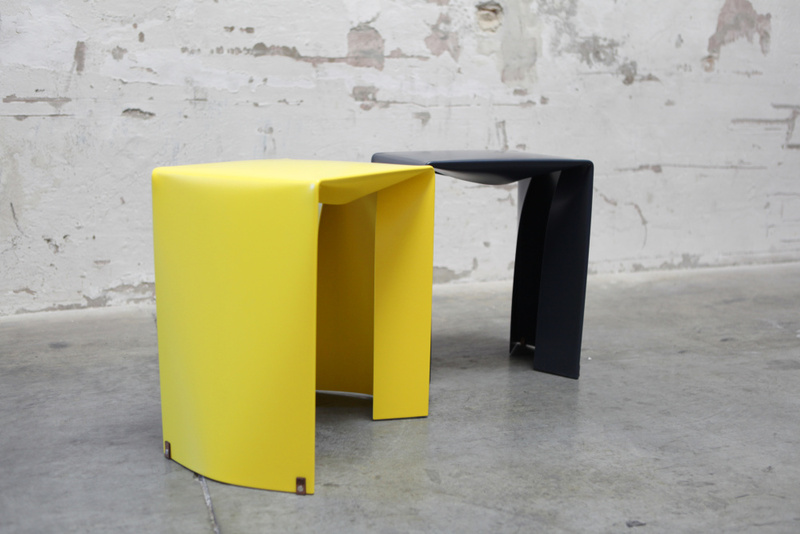 Aluminium seating that looks as simple as a folded piece of paper. 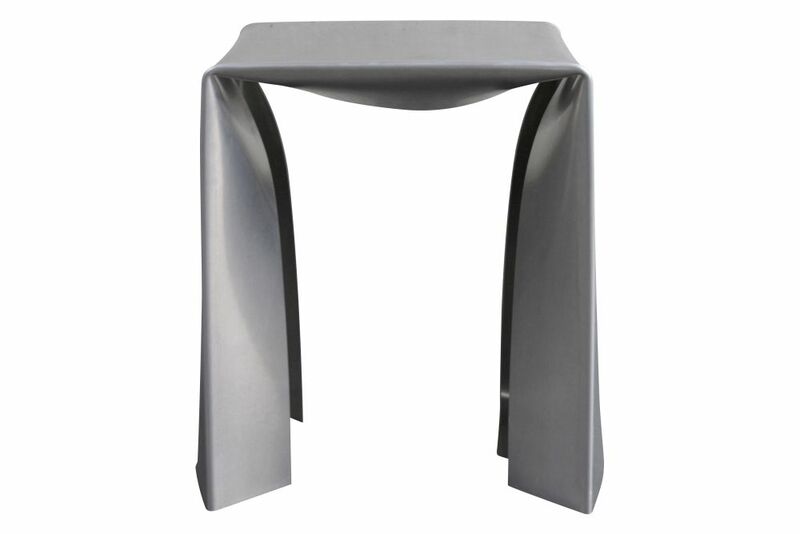 Sara Mellone creates her Folded Stool by making just four creases in a single sheet of aluminium, with no additional fixings and no offcuts. 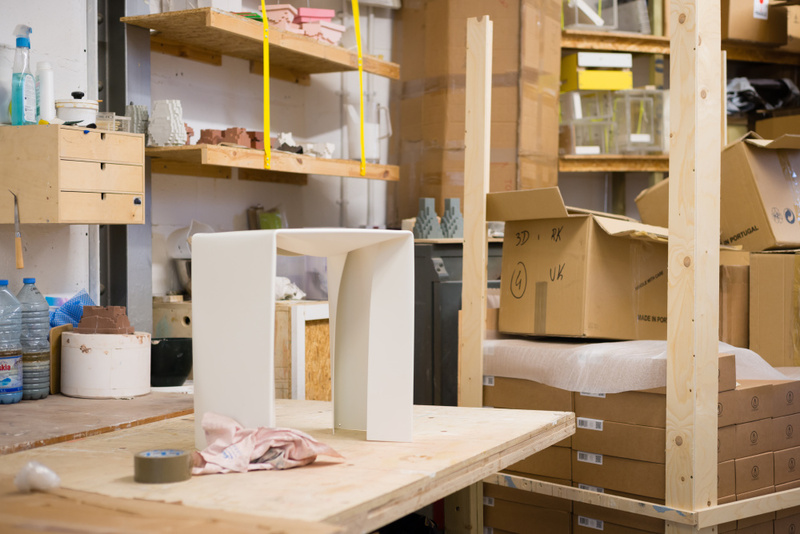 Sara Mellone's design cleverly makes use of the curves that naturally occur during the bending process to give the lightweight pieces surprising strength and stability, despite being made of sheet material that's just 2.5 millimetres thick. "It's quite nice that the material just offers you what you need," she muses. Suitable for use indoors or outside, the aluminium is extremely tough and comes either powder-coated for a silky and durable finish, or left untreated so that a patina of fingerprints and marks will build up over time. Each piece comes with little leather tabs that form soft feet to lift it a fraction off the ground. The collection began as Sara's graduation project while studying art and design in Düsseldorf. "The title of the project was The Simple Things and I tried to develop a furniture piece as simply as possible, so I went quite quickly to the technique of folding," the designer explains. She began making hundreds of paper models, starting with an origami-style approach and gradually making each one a little less complex than the version before. After much experimentation, she arrived at a design for producing a sturdy stool or bench in just four folds. "It was important to me for the design to find its truest form," she says. "Simplicity of design and a longevity in its use are essential components of how I want to approach design." 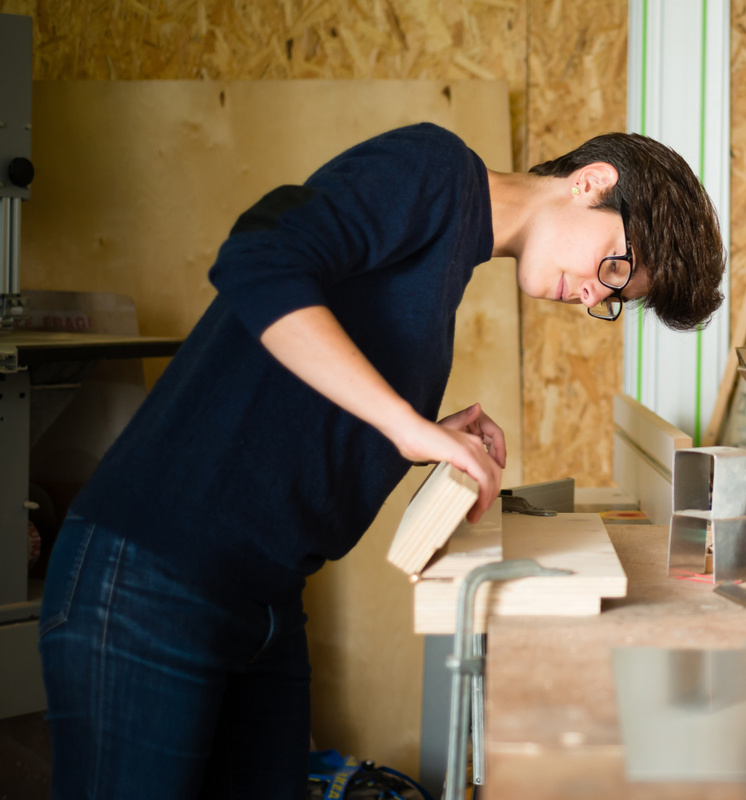 On graduating she quickly gained critical acclaim for the project, which won the German State Award Manu Factum in 2013 and was selected for the D3 showcase of upcoming talent at the imm Cologne international furniture fair in 2014. Off the back of this success Sara decided to found her own company to produce and distribute her products, getting them made by a small firm in Vienna. Now based in London, she shares a former industrial space with three fellow designers-turned-entrepreneurs. Producing every piece herself enables her to keep a close eye on the quality, exercising her keen attention to detail. Sara Mellone designs and produces her own brand of minimal furniture and homeware in London. She uses the inherent properties of her chosen materials to create forms with structural simplicity and a poetic character.